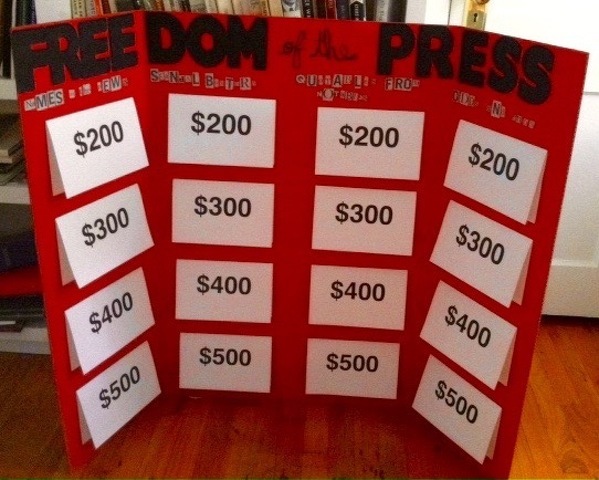 Hello again everyone and welcome to the column-length version of “Freedom of the Press Jeopardy,” the game that reminds you why journalism matters and where the only thing that’s fake is the prize money. * Our categories are Names in the News, Scandal Busters, Quotables from Notables and Odds and Ends. Players who need help can choose from among four multiple-choice answers for each question. Are you ready? 1. Names in the News for $200: These young Washington Post reporters broke the Watergate story. a. Who are Alfre Woodard & Diane Feinstein? b. Who are Bob Woodstein & Carl Bernward? c. Who are Mark Goodson & Bill Todman? d. Who are Bob Woodward & Carl Bernstein? 2. Names in the News for $400: The movie “Citizen Kane” is loosely based on this newspaperman’s life. a. Who is William Butler Yeats? b. Who is William Randolph Hearst? c. Who is William Carlos Williams? d. Who is William Tecumseh Sherman? 3. Names in the News for $600: He leaked the Pentagon Papers to the Washington Post and the New York Times. a. Who is Jacoby Ellsbury? b. Who is Mark Zuckerberg? c. Who is Elwood P. Dowd? d. Who is Daniel Ellsberg? 4. Scandal Busters for $200: During the 1984 presidential campaign, Sen. Gary Hart’s candidacy blew up when photographs surfaced of him cheating on his wife on a yacht with this name. 5. Scandal Busters for $400: It led to the firing of the Secretary of the Army and the commander of Walter Reed Army Medical Center in 2007.
a. What is a Centers for Disease Control investigation of Legionnaires’ disease? b. What is an EPA investigation of hazardous waste dumping by D.C.-area hospitals? c. What is a Washington Post investigation into filthy conditions at a treatment center for soldiers wounded in Iraq and Afghanistan? d. What is an FBI investigation of price fixing by Big Pharma? 6. Scandal Busters for $600: It revealed that officials in Bell, a small city in southern California, were being paid salaries vastly larger than those of their counterparts in other municipalities. a. What is an investigation by the Los Angeles Times in 2010? 7. Odds and Ends for $200: It’s sometimes referred to as journalism’s Oscar. a. What is the Pullet Surprise? b. What is the Pulitzer Prize? c. What is the Nobel Prize? d. What is the Caldecott Medal? 8. Odds and Ends for $400: The movie “Spotlight” focused on this scandal. a. What was the Boston Globe’s investigation of sexual abuse cover-ups by the Catholic Church? b. What was the NYPD’s investigation of rigged TV quiz shows? 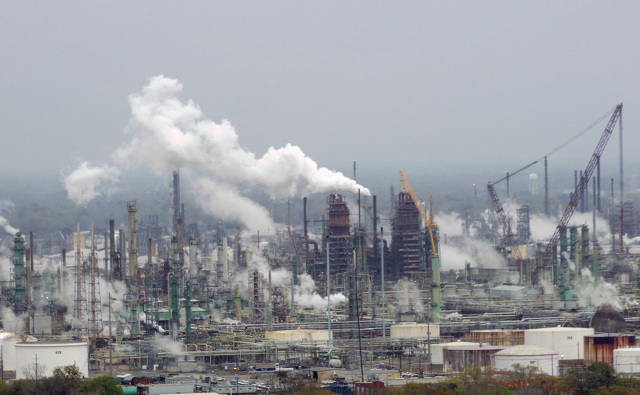 c. What was the American Cancer Society’s investigation of Big Tobacco? d. What was the “Access Hollywood” investigation of sexual harassment in the film industry? 9. Odds and Ends for $600: They showed black people in Birmingham, Alabama, being attacked by police dogs and blasted by high-pressure hoses. b. What are viral videos on YouTube? c. What are news photographs that led to passage of the landmark Civil Rights Act of 1964? a. Who is Potter Stewart? b. Who is James Stewart? c. Who is Harry Potter? d. Who is Stewart Little? a. Who is David Green? b. Who is James Brown? c. Who is Hugo Black? d. Who is Vida Blue? a. Who is John Lennon? b. Who is Vladimir Lenin? c. Who is Donald Trump? d. Who is Vladimir Putin? Answers: 1d, 2b, 3d, 4c, 5c, 6a, 7b, 8a, 9c, 10a, 11c, 12b. *“Freedom of the Press Jeopardy” is adapted from a tri-fold poster board version of the game developed for the Constitution Day Centre Celebration at Grange Park on Sunday. Guess who is now asking for taxpayers’ dollars to save them from their own foolishness?